The Loaded Race v2 Slide Gloves are a new top product by Loaded. They are an advancement of the Loaded Slide Gloves and designed for maximum requirements in the field of downhill longboarding. 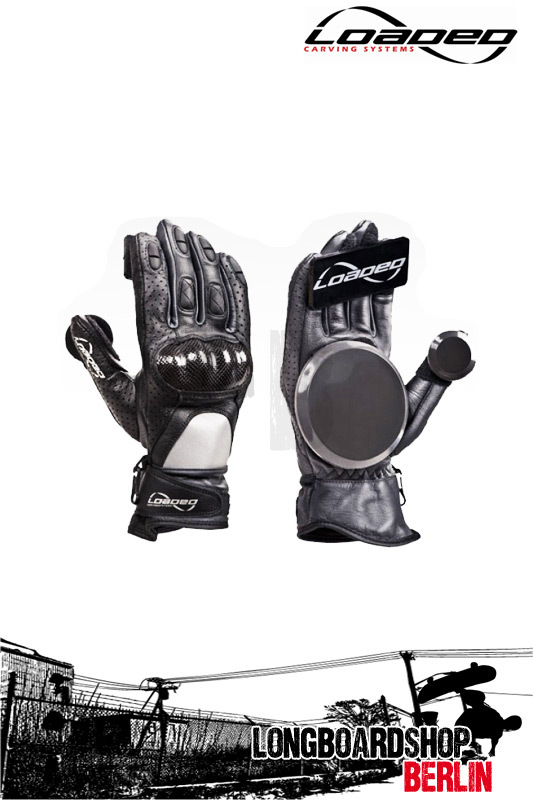 Thanks to the use of high-quality leather, your hands are well protected and you may show your roughes tricks on the asphalt.